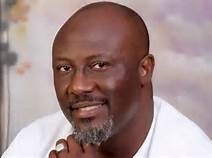 Dino Melaye Is A University Drop Out! Senator Dino Melaye might be in a certificate scandal as some exam officers at the Ahmadu Bello University Zaria, claim he did not graduate from the school. Melaye, has been in the news lately claiming that there were plans to witch hunt him by the Economic and Financial Crimes Commission (EFCC) because he opposed the confirmation of Ibrahim Magu as chairman of the anti-graft agency. According to Sahara Reporters Melaye never graduated from the department of Geography at ABU. The report also claims that the DSS was alerted over this but the security agency looked away. “At least three exam officers at ABU, Zaria insists that @dino_melaye never graduated from geography department, DG DSS alerted but covered it up,” the report said. They said Dino’s name was not on graduation list and further accused him of bribing his head of department. Wikipedia has it on record that Dino Melaye graduated with a Bsc in Geography from Ahmadu Bello University Zaria.